A cute design by Teresa Kogut. 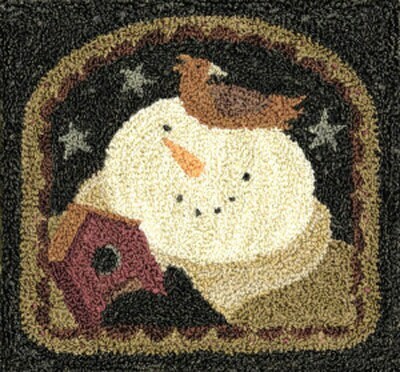 Features a whimsical Snowman holding a birdhouse with a sparrow on top of his head. Finished size is 3"x2.75".